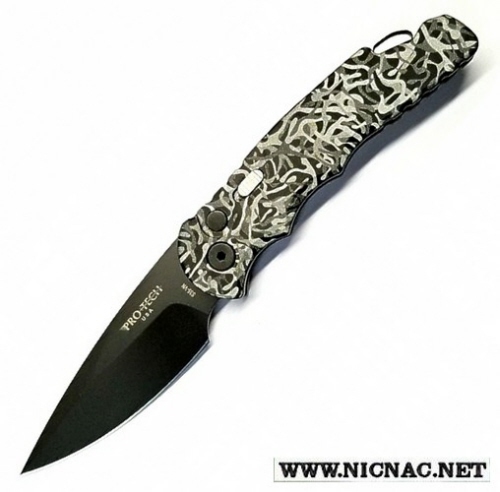 The Protech TR-5 T503-Winter Camo Automatic Knife laser engraved Black Blade has a finished aluminum handle with a deep carry tip up pocket clip. The blade is made with CPM-S35VN stainless steel with a black finished and it comes with a sliding safety lock . The overall length is 7.625 inches with a blade length of 3.25 and is made for the right hand user. Made in the USA!